Electric tankless water heaters, also known as instantaneous water heaters, supply hot water only when needed. They don't have the energy losses as storage water heaters, which helps save money. 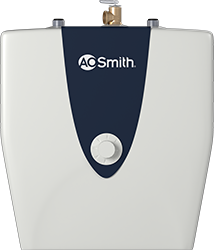 As the name suggests, tankless water heaters heat water without a storage tank. They deliver a constant supply of hot water. You don't have to wait for a storage tank to fill up with hot water. Tankless water heaters that run on electricity are an affordable option for homeowners. They will help you save on your energy bills, while supplying constant hot water. They’re also compact and take up less space than regular water heaters.